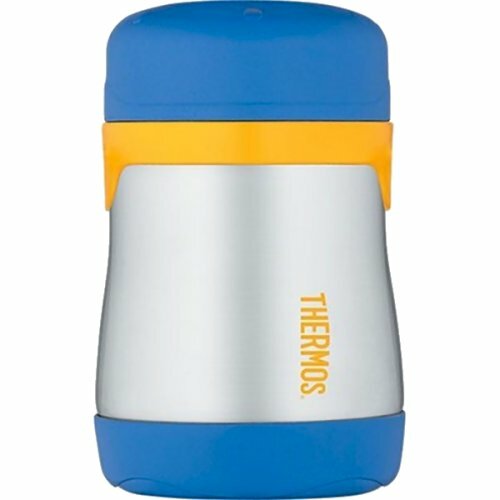 Thermos Foogo 290 ml vacuum insulated stainless steel food jar keeps food and drinks fresh and safe for longer. Thermax double walled vacuum insulation for maximum temperature retention stays cool to the touch even with hot foods, add in the unbreakable stainless steel interior and exterior, makes it a kid proof design. Leak proof lid with soft grip for easy opening, wide mouth is easy to fill, serve from and clean. Dishwasher safe. Food keeps cold and fresh for 7 hours, warm for 5 hours.